Even though it has been a bit quiet on the “street” and on the screen with the mob that doesn’t mean the subject is dead. Just when you thought that was true a certain Long Island director resurrects it with a good dose of comedy. Award winning director / producer Sal Rinella is on the verge of completing his film affectionately titled “Good Friday”. He has been in the entertainment business for over twenty years. Sal is known for his directing on projects like “Austin’s Angels”, “A Camp Story” and the TV show pilot “From Geek to Guido”. He had won the Florida Motion Picture Award for Unproduced Screenplay of “Good Friday”. As he worked on honing his directing skills he also managed a string of music stores. Sal always had a knack for helping others and through his 3-8 Production company he has guided those striving to excel at their craft. Even his students invented a name for him “Acting Guru”. Sal has produced and promoted many events around the New York area. From the Times Square Saturday Night showcases to The Boyd Family Holiday Show. In the East Village he co-hosted “The Open-Mic” with guitarist / songwriter Gary Costello at the famed and now closed Kenny’s Castaways Club. But Sal did not only work on his skills in NY but also in Nashville, TN. There he was a part of The John Novello Concert, Writers Night and the Deedee O’Malley Songwriters Seminar. While in Nashville he placed the show “From Geek to Guido” in a film festival where it won four awards. A man of many talents Sal never slows down but puts the gears into overdrive. 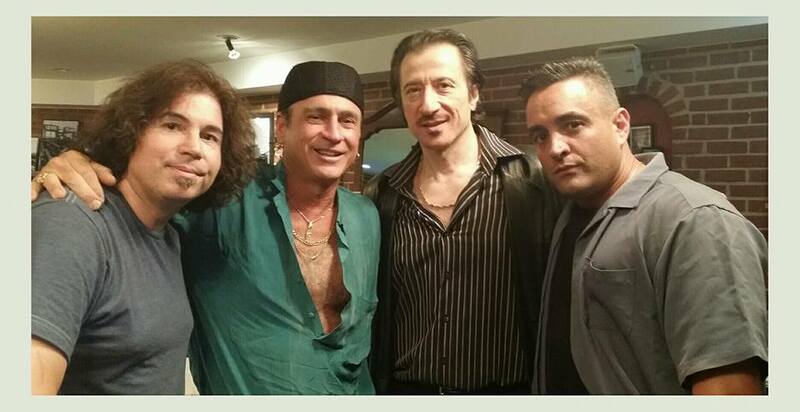 Currently he is working on the anticipated film “Good Friday” that has attracted interest from such A-list talent like Armand Assante (Gotti) and Federico Castellucio (The Sopranos). They have already worked on a teaser that they shot in Sal’s old neighborhood of Corona, Queens. The film is a mob comedy that evolves around a priest that works with mobsters and the shenanigans that arise from their relationship. The film is a mix of “Westside Story”, “Romeo & Juliet” and ‘The Gang That Couldn’t Shoot Straight”. The cast so far has included upcoming actors like Judy Prianti (Sopranos), Bobby Ciasulli (Real Housewives of NJ) and Matt Jade (who is also on the producing end of the film) he has worked with Sal on many past projects. We had the opportunity to also speak with Bobby about the upcoming project. “I was on a flight from Miami and through a mutual friend Sal and I had, I was able to read the script. I thought it was very funny and I was happy to get involved. We put together a production company Pegasus Films and Production. I will be going to be playing a character named Deuce who is bit of a trouble maker sort of like myself,” said Bobby. Also involved in the project is PR representative Domenica Pizioli who is actually from Canada. Sal reached out to her about the project and after reading the script she fell in love with the idea. Being of Italian background and a fan of comedy Domenica felt compelled to offer her help. At the present time they have been working on a teaser and a short. With all the interested parties coming into the fold “Good Friday” is bound to be a funny ride for any fan of comedy. You can follow the project on Facebook.